The place where River Ganga descends, Haridwar is one of the holiest towns of India. Also pronounced as Hardwar, the town is believed to be the ultimate gateway to Gods. Situated at the place where Ganges emerges from mighty Himalayas, Haridwar is visited by horde of devout devotees come down to take a dip in the holy river. For centuries the town has been a popular pilgrimage site as well visited by hundreds of devotees, culture-lovers and holiday-makers. Haridwar holiday packages are mostly picked during weekend when populace from neighboring metropolis and other big cities plan to drift to soothing ambience of Haridwar to seek some solace and peace. These Haridwar tour packages are thus planned carefully to include all the major highlights of the region at the right time. Haridwar is about 200 km away from Delhi and thus one of the favorite destinations for weekend getaways around Delhi for the populace at the national capital. Haridwar is easily accessible for it is well-connected with a network of rail and road ways from different parts of the country. Nearest Airport is Jolly Grant Airport at Dehradun; also there is the Haridwar Junction Railway for comfortable traveling. Best time to book Haridwar holiday packages is during its religious festivals and fairs. 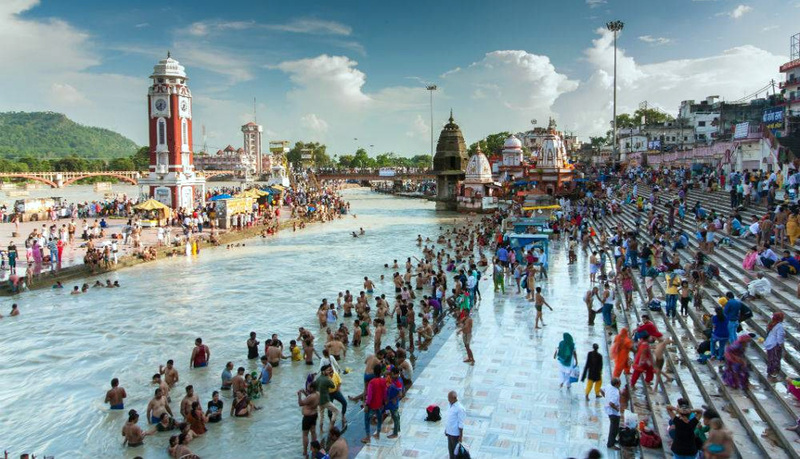 Kumbh Mela and Ardh Mela are two most renowned fairs of the region during which thousands of devotees, saints and sages head to Haridwar to take religious bath in the river. The festivals are colorful and enchanting, however this is also the time when hotels remain full and thus it is always advised to make bookings well in advance. Pick up from Delhi and transfer to Haridwar. Evening visit ​Mansa Devi Temple and Har Ki Pauri Ganga Aarti. Dinner and overnight stay at Haridwar. Morning after breakfast, visit Chandi Devi Temple By Cable Car. Later transfer to Rishikesh. Visit Laxmanjhula, Laxman Temple, Trambakeshwar Temple, Ramjhula and Bharat Mandir. Evening aarti at Triveni Ghat. Return to Haridwar and Night stay.